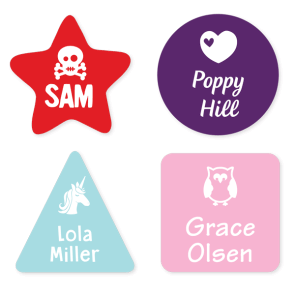 These big, bold labels will prevent lost property at daycare, kinder, school or sports. Use them on lunchboxes, sports equipment, drink bottles, musical instrument, books, medications and more. 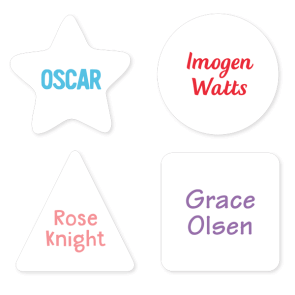 Each pack comes with 4 different shapes (triangle, square, star, circle). 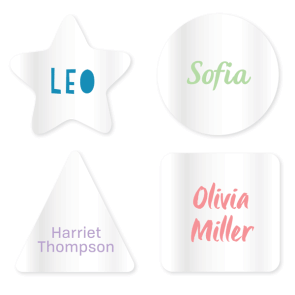 Our Shaped Labels come in a mix of timeless and trendy designs to suit any child's personality. For the kids that love dinosaurs, we've got something for you. Kids that love to dance? Got that covered too. 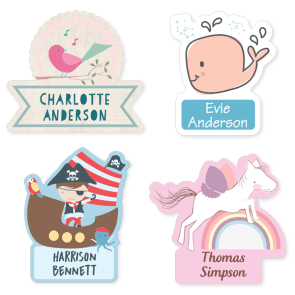 Perfect for books, school gear, lunchboxes and so much more. 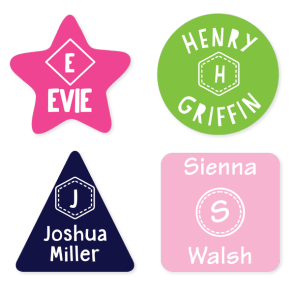 Show off their interest and inject a little fun into labelling with a Designer Shaped Label. We appreciate your service and for sharing your positive rating with us on our products and services! 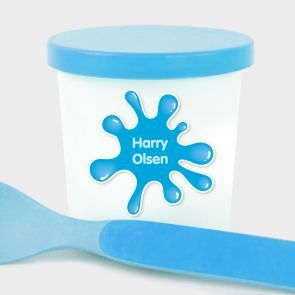 I hope you will continue to love the large range of labels purchased and find them all to be reliable and long lasting. 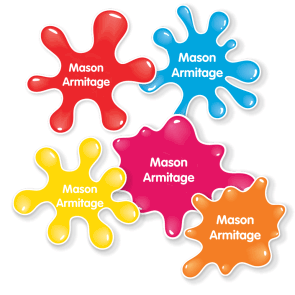 I am very happy to know you and your children love the Splat Labels you have recently purchased! I can confirm we do have a number of promotions running throughout the year which do on occasion support free shipping.